This Oven Roasted Balsamic Asparagus is a simple side dish for every day dinners or holidays! Roasting asparagus brings out all it’s delicious flavor! This roasted asparagus will go perfectly with our Dan’s Whiskey Steak! Add some Homemade French Fries and dinner is done! When it comes to vegetables, we like to keep it simple. Oven roasting any vegetable is going to bring out it’s natural sweetness and just make it overall taste better, in my opinion. Now when it comes to asparagus…well, asparagus isn’t on my list of favorite vegetables. If that’s even a list for me. 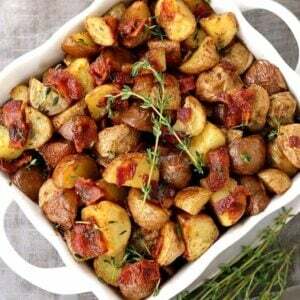 But roasted in the oven with shaved parmesan cheese and balsamic glaze? I can definitely get behind that asparagus recipe. Turns out it’s really easy. Turns out I didn’t even know that this was a thing, either. So you don’t just guess? Well I guess not. 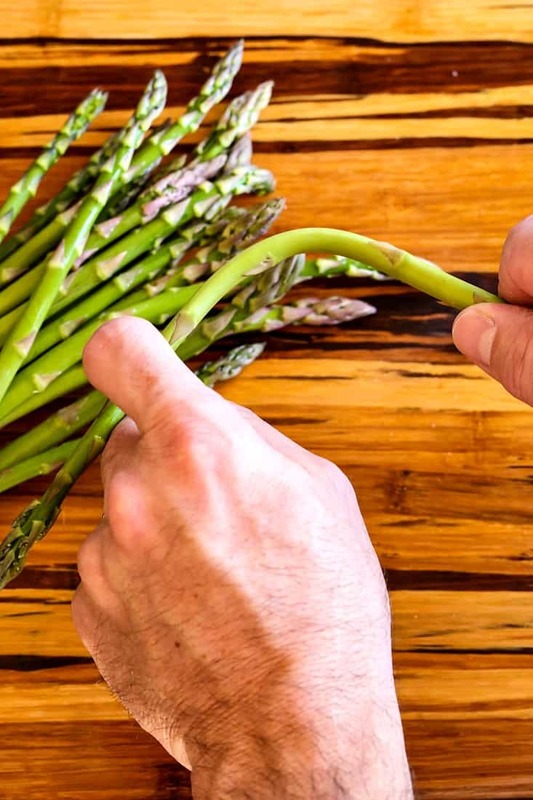 The ends of asparagus can be tough, so you want to make sure that you’re trimming off the right amount at the end so that all you have left is the tender part. Now you’ll snap the end off at the bottom and it will naturally break where it’s supposed to. 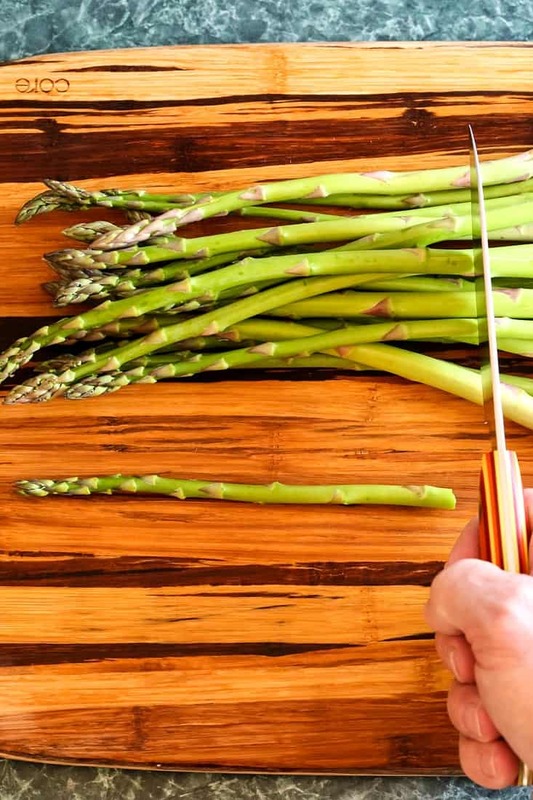 This asparagus stalk is now your guide to trimming the rest of the asparagus! So no, you don’t have to snap them all separately. Just use the guide and estimate the rest! Just making oven roasted asparagus with salt, pepper and olive oil is really good enough all on it’s own. 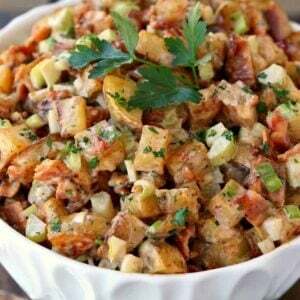 But adding a drizzle of sweet balsamic glaze and nutty parmesan cheese at the end really makes it over the top good. Like even your non-asparagus loving family members will like this asparagus recipe, I’m pretty sure of it. Also according to proper etiquette, it’s ok to go ahead and eat asparagus with your fingers, as long as it’s one stalk at a time. That’s how we got our little guy to try it, he usually prefers to eat with his hands…still to this day. We’re working on that one. 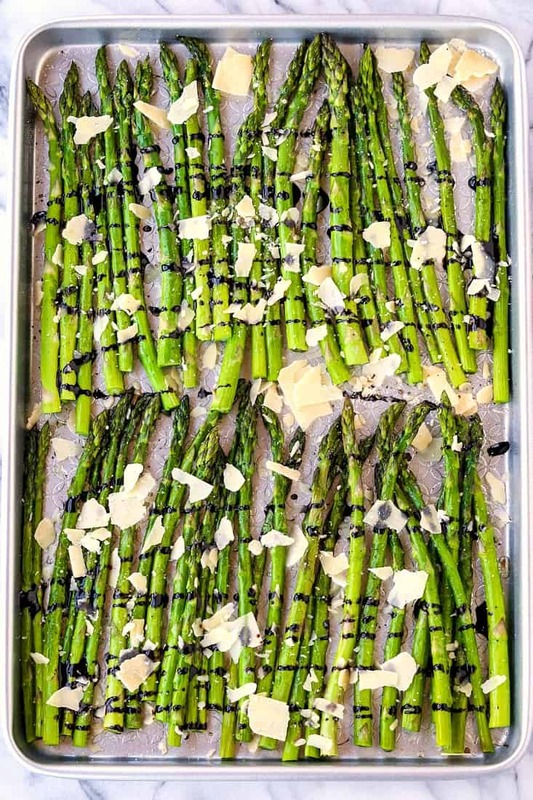 All that’s left to do is to get your asparagus on a sheet pan, drizzle it with olive oil, salt and pepper and get it in the oven. Just a few minutes is all you’re going to need, especially if it’s thin asparagus like these. You want your asparagus to be cooked though, obviously, but not mushy. And believe me, there’s a small window there. About 12 minutes is a good time to start checking for doneness. Grab one, bite into it and see if it’s to your liking. You can always throw it in the oven for another few minutes and check again. 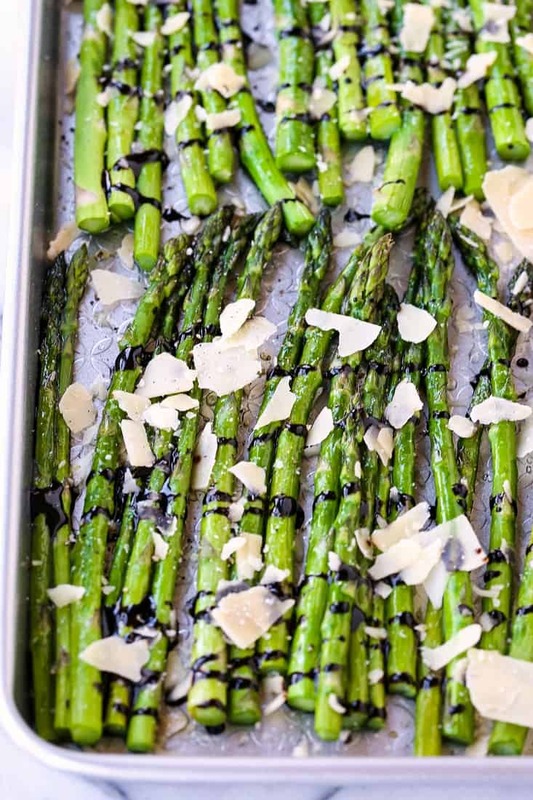 When the asparagus comes out of the oven, let it cool just a few minutes then drizzle the balsamic glaze on top and add the shaved parmesan cheese. The result is total veggie perfection. Perfectly crisp but tender asparagus topped with the most flavorful ingredients. 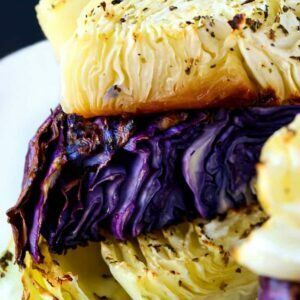 This delicious roasted vegetable recipe is so easy to make, just 15 minutes in the oven and it's perfectly tender! 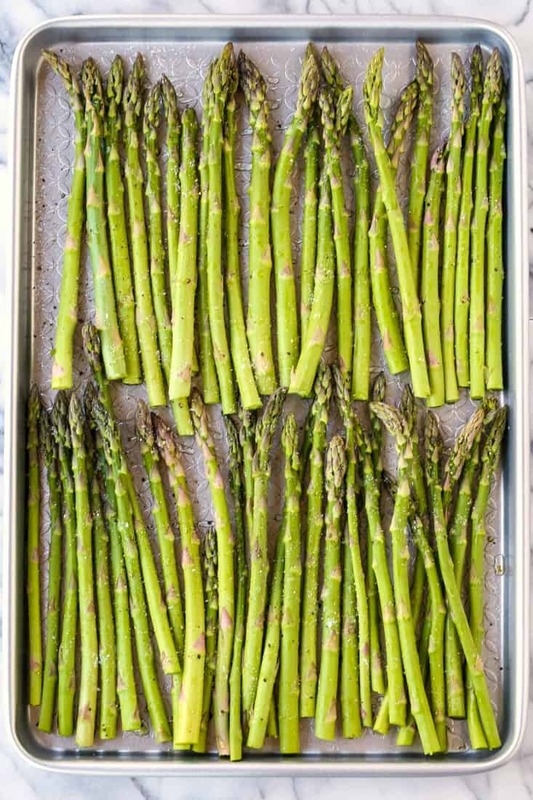 Place the asparagus on a baking sheet, in a single layer. 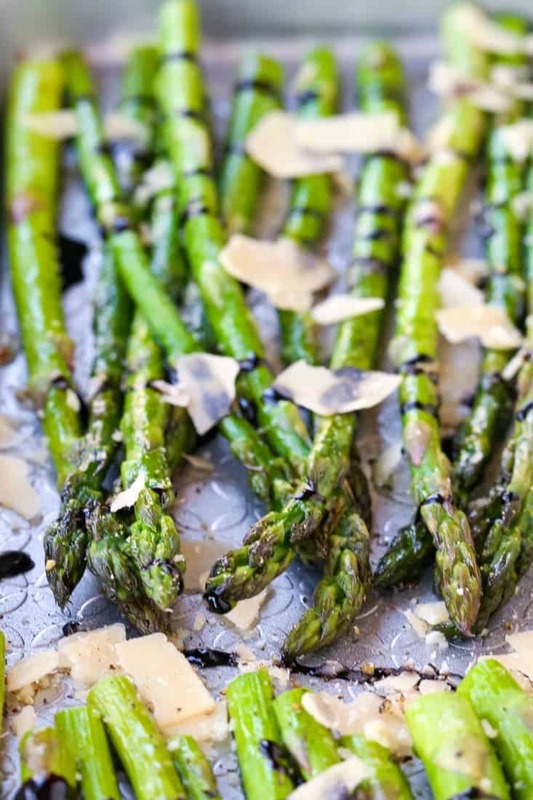 Drizzle the olive oil over the asparagus, then season to taste with salt and pepper. Roast the asparagus in the oven for 12 minutes, toss and check for tenderness. If you want the asparagus more tender, place it back in the oven for another 2-3 minutes. Remove the asparagus from the oven and let cool for 5 minutes. 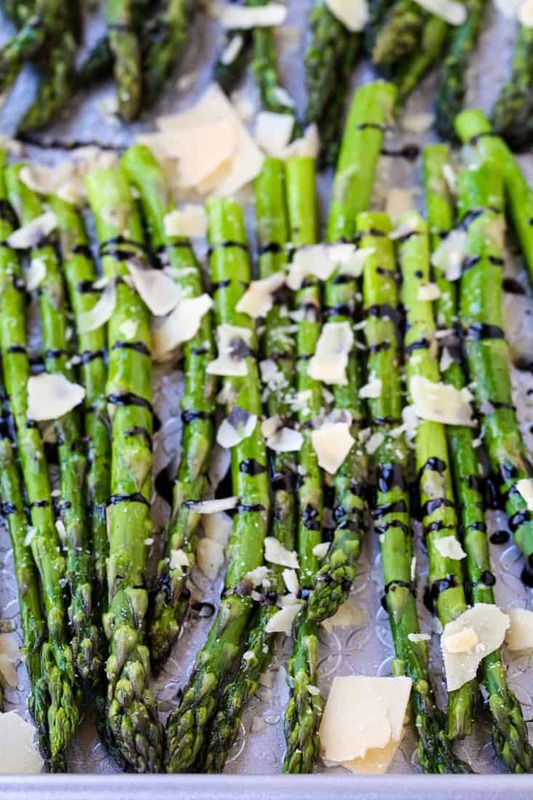 Drizzle the asparagus with the balsamic glaze then add the parmesan cheese on top. Serve immediately.